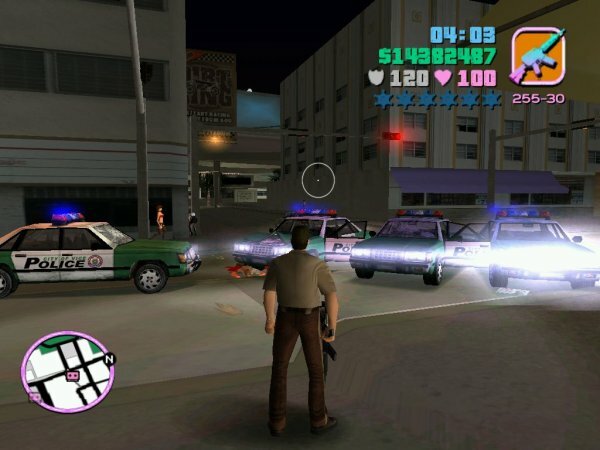 If you are a sane and sensible person like me, then you absolutely love GTA Vice City and you think it's one of the best games ever created. Now, you want to keep playing it, so you install it on your Windows 7 machine. The installation is successful and the game launches all right. But then, the mouse does not work. Either it does not move at all or the left and right movement is restricted in the game. What do you do? This is a very annoying problem, with a million leads online, and yet such a simple and innocent solution, you will flog yourself once you realize how trivial it truly is. So let me help you gain control of your favorite game title, so you can enjoy the cheesy glory of the 80s in all their might. It's as trivial as that. Do not run the game in Windows 98 or XP compatibility mode, because it won't make any difference. Do not Alt + Tab, because it might make some difference, but not all the time. What you need is to disable Aero effects while the game is running. So how do you do that? Simple. Just as you would tweak the game compatibility mode. Find the GTA executable. 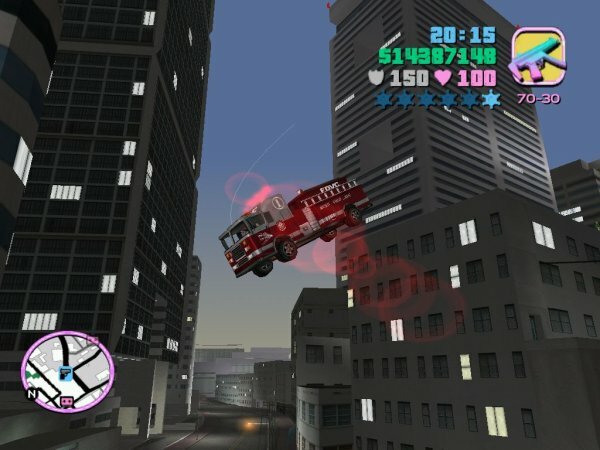 It's called gta-vc.exe. Right click, properties. 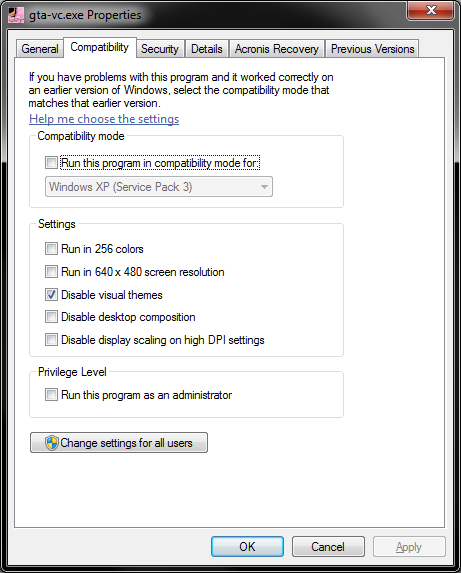 In this dialog window, check the box that reads Disable visual themes. And that's all you need to do. 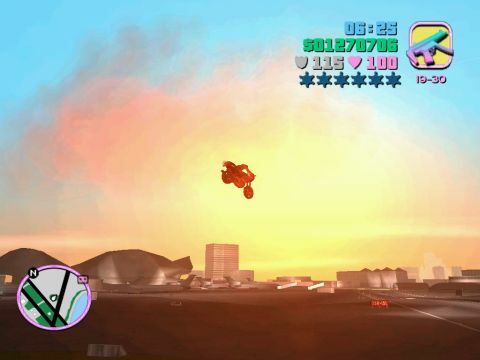 Launch the game, your mouse will now work properly and you can go about Miami pimping the scene like a champ. And here we are. Oh, the magic. This is a super-trivial article, so perhaps there's no need for any grand conclusion. The only big lesson is, problems that sometimes appear to be so difficult and complex might really be tiny and simple issues. Always go for the simple, quick solutions. Rather than hacking your system to death, try the basic stuff. And use discretion when sampling from the foods of the Web. People have problems, but they all have different problems. Remember that when reading online guides and tutorials and magic solutions, including this one. And that would be all. Happy gaming!